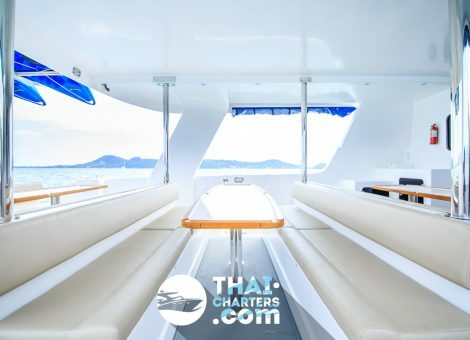 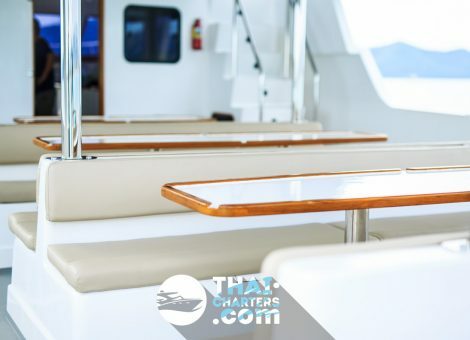 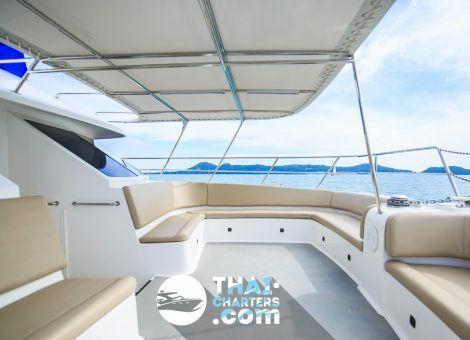 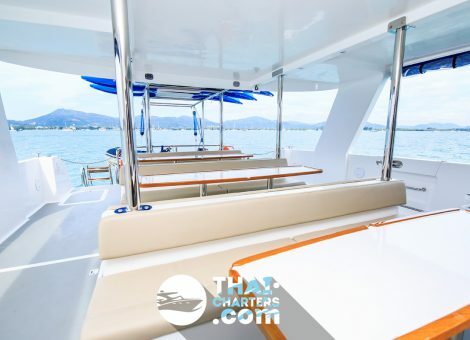 The motor catamaran Azur is ideal for family cruise for 1 day, parties or sea excursions for the day to distant islands. 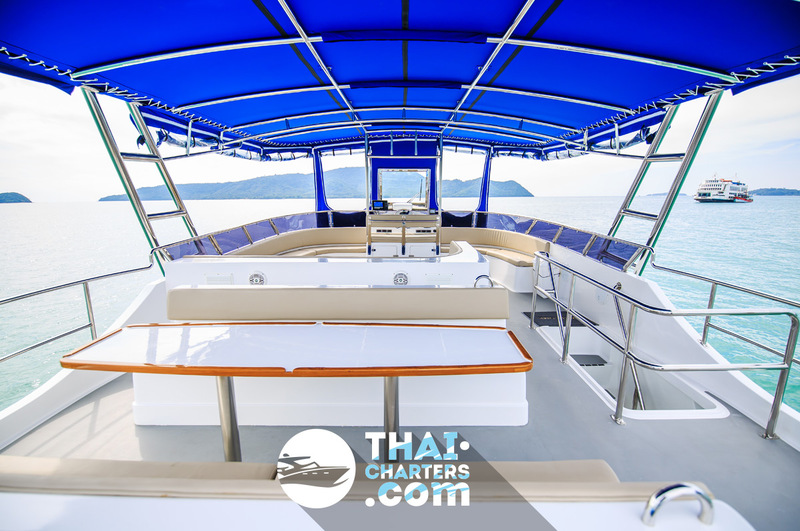 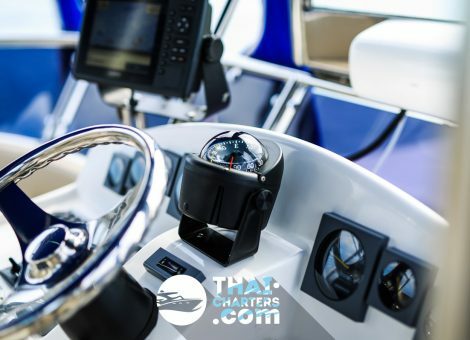 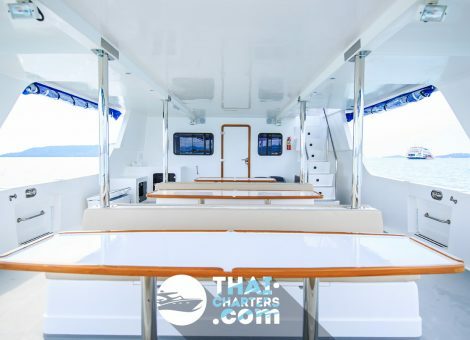 The motor catamaran Azur is a powerful, comfortable, more resistant to sea rolling ship. 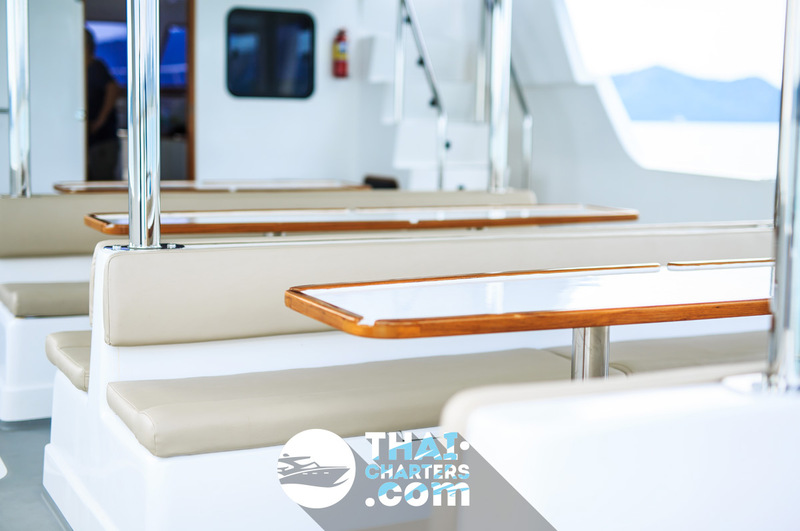 The latter fact reduces motion sickness in all the guests of the vessel. 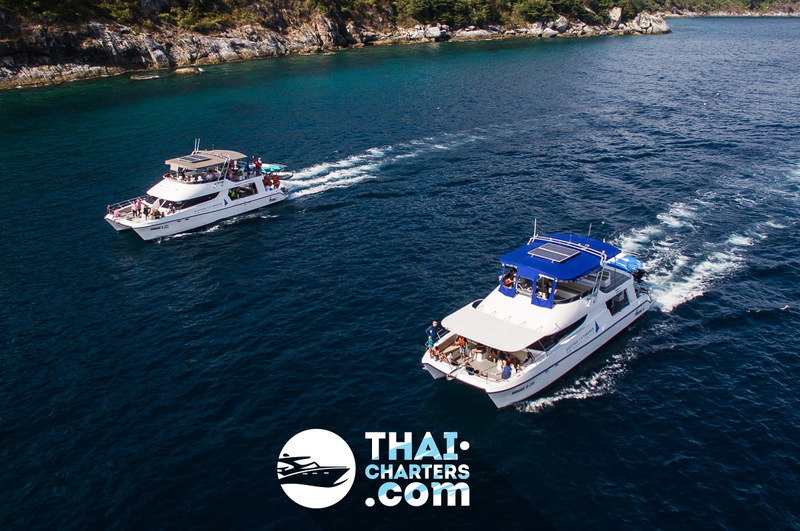 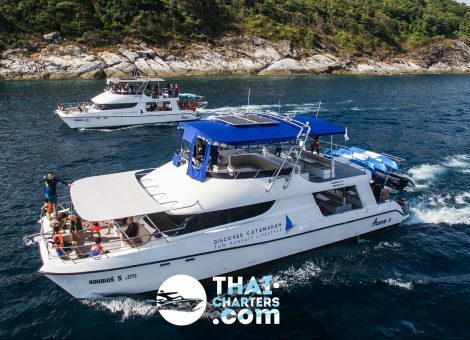 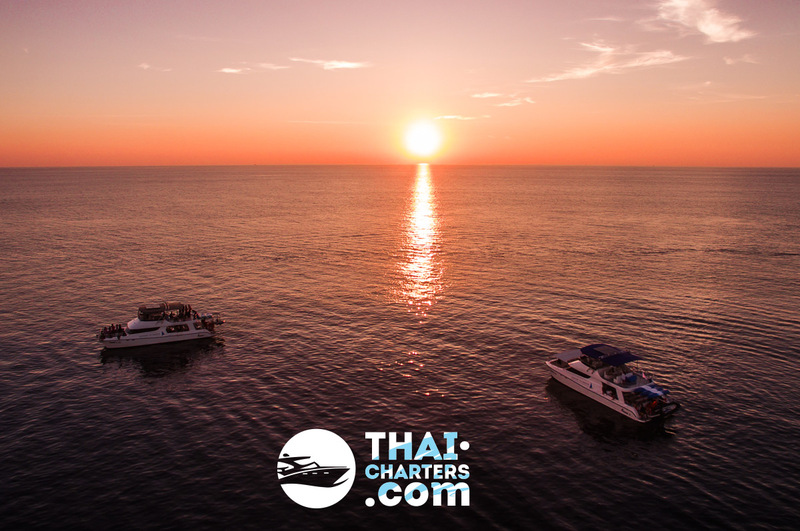 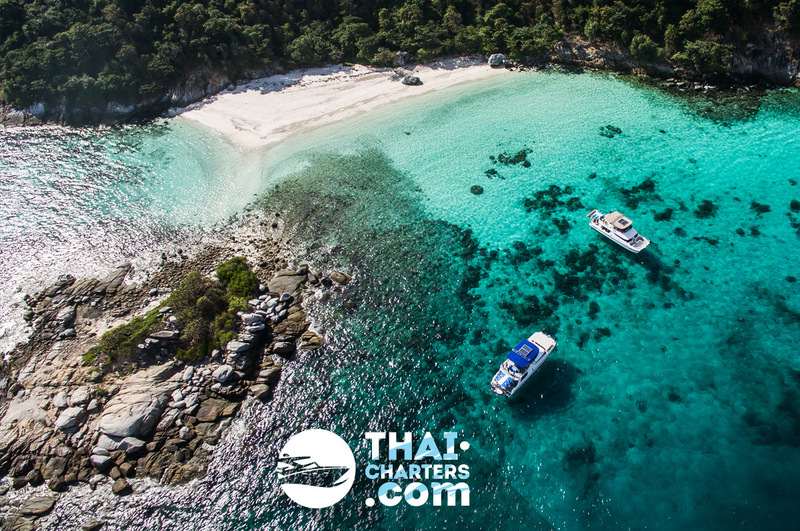 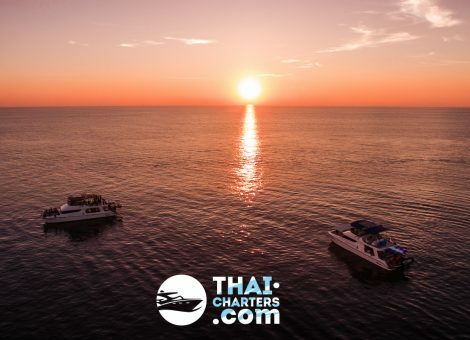 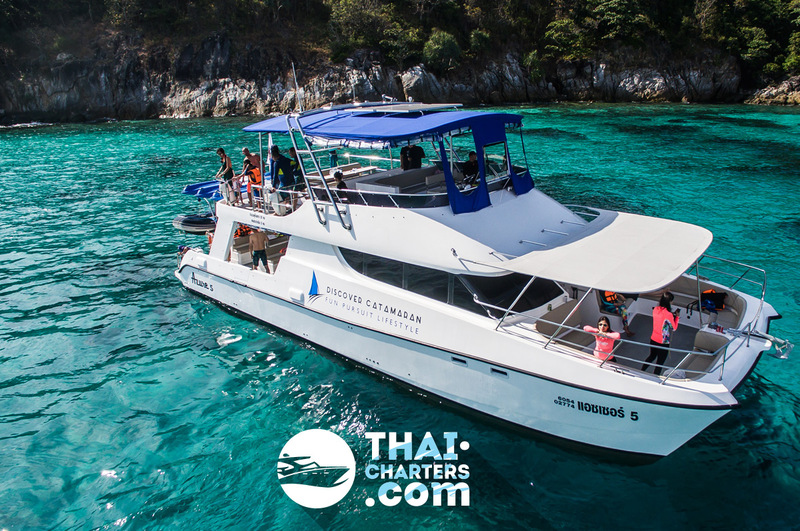 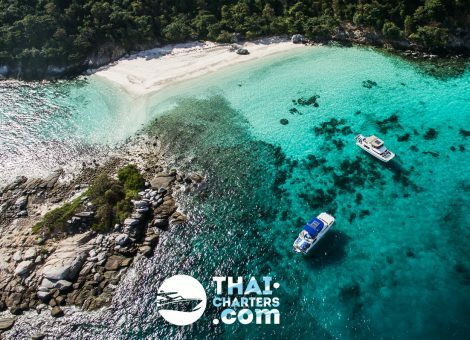 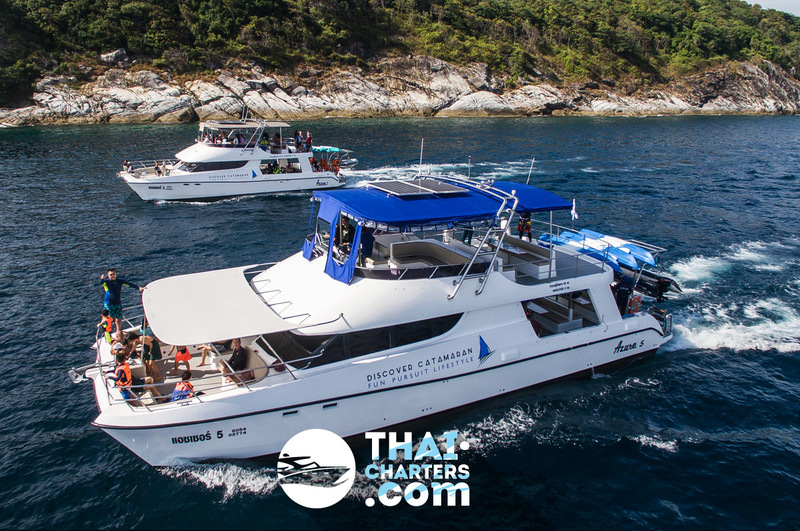 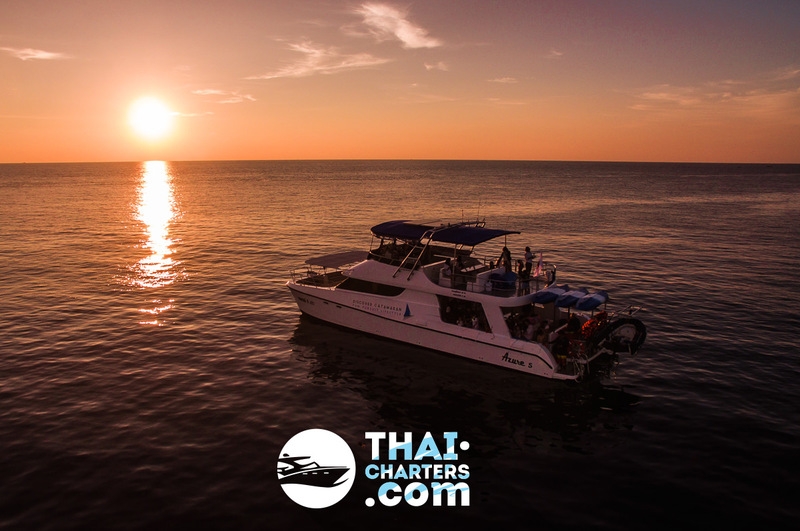 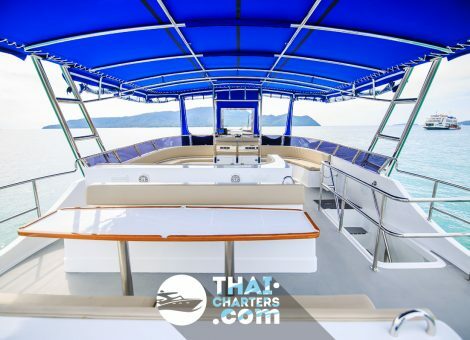 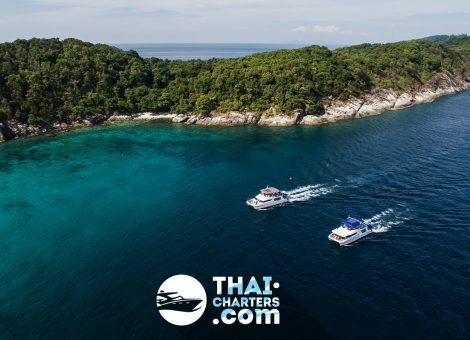 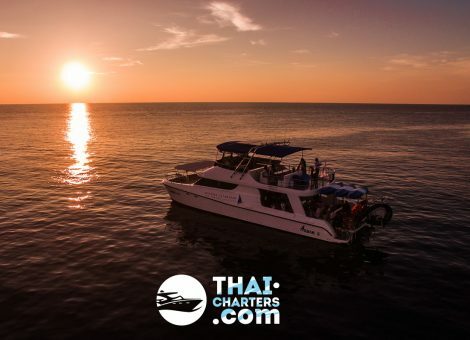 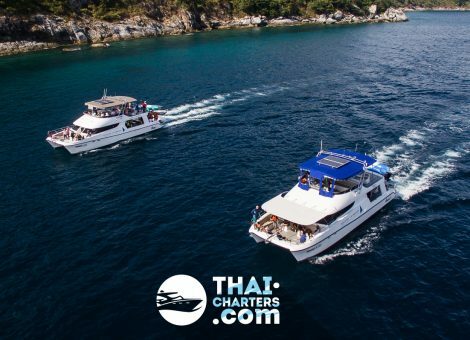 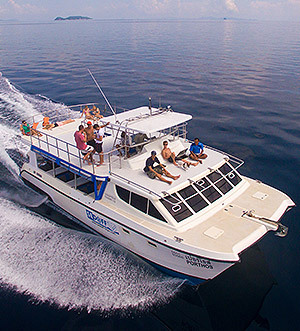 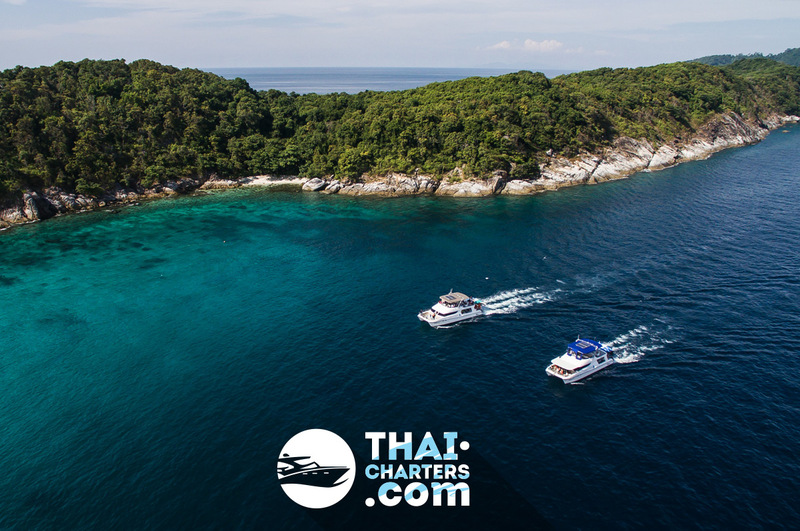 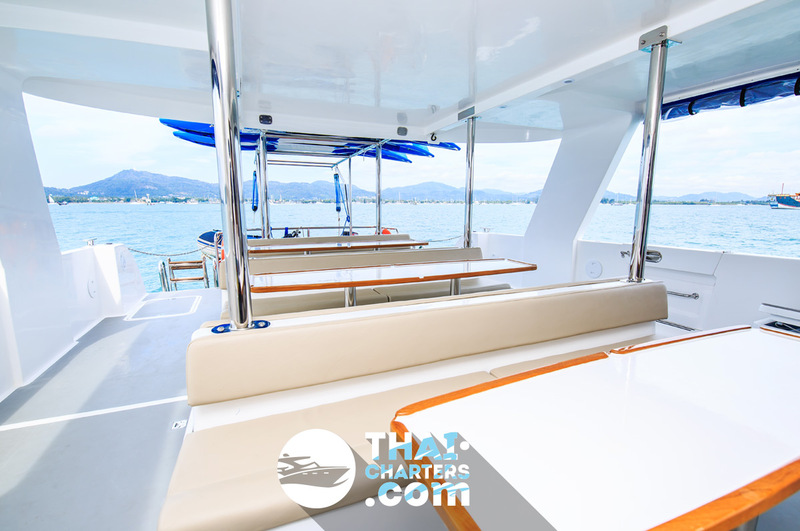 On the catamaran there are masks and snorkeling tubes, kayaks, equipment for spearfishing, a waterslide, a high-speed rubber boat for disembarking. 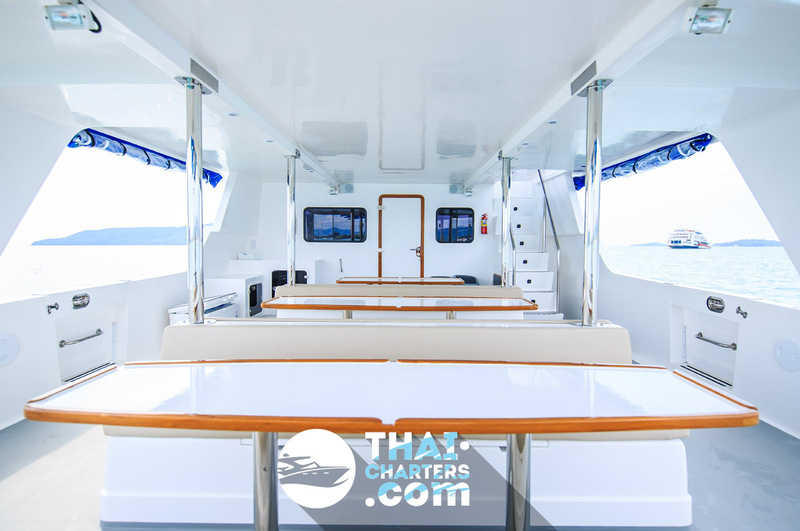 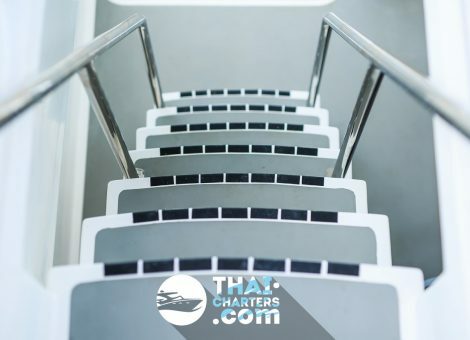 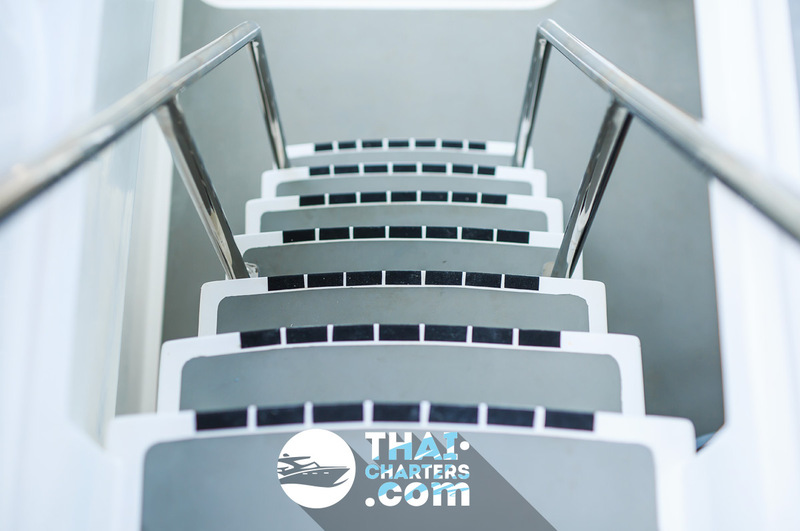 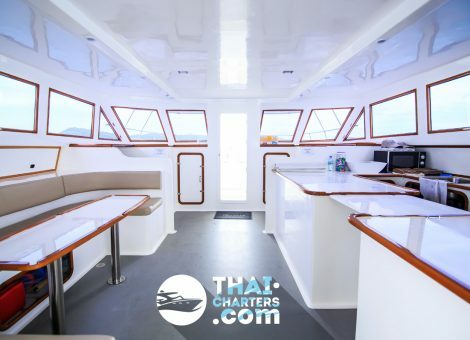 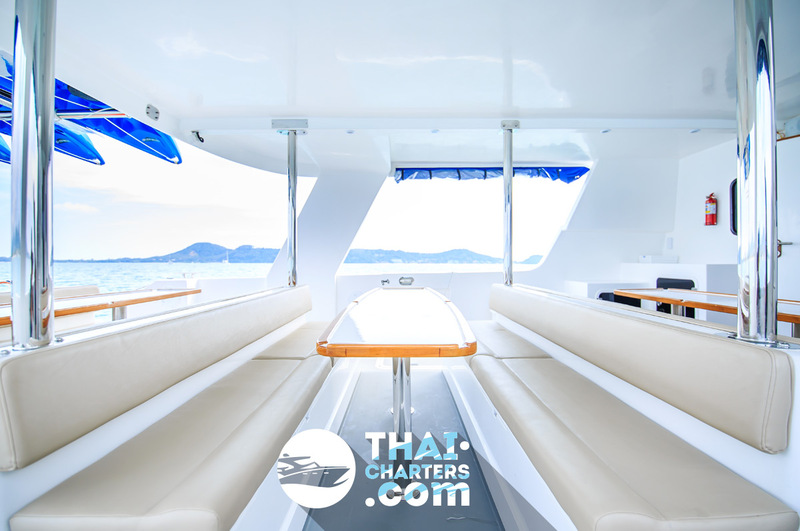 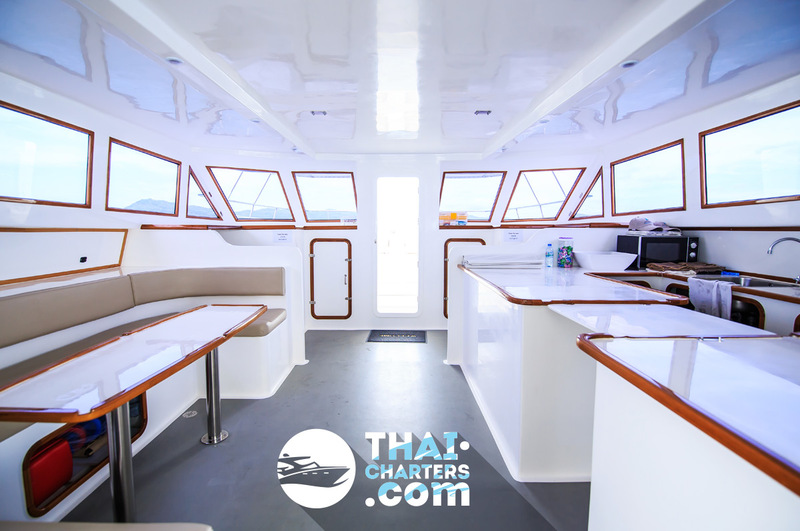 The catamaran is 15 meters long and in several levels, therefore it can up to 40 people at a time. 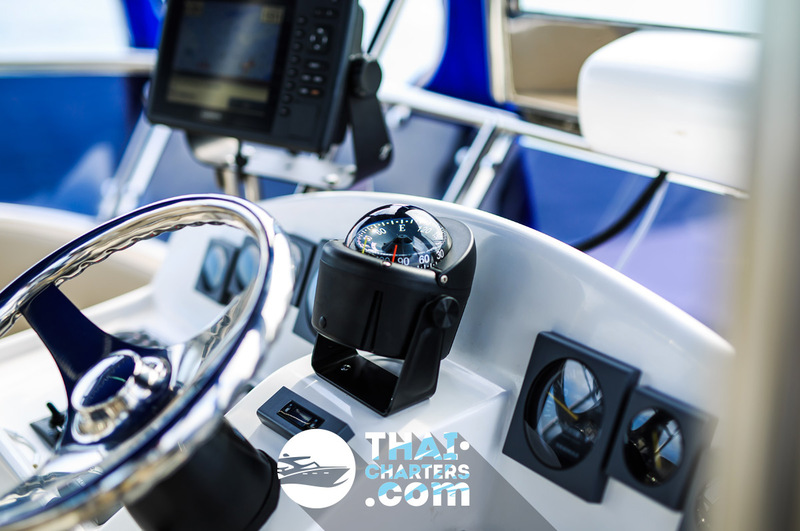 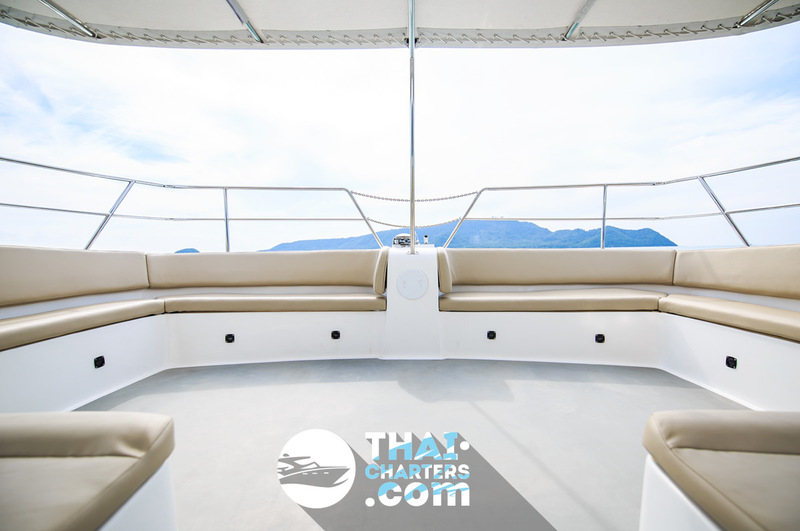 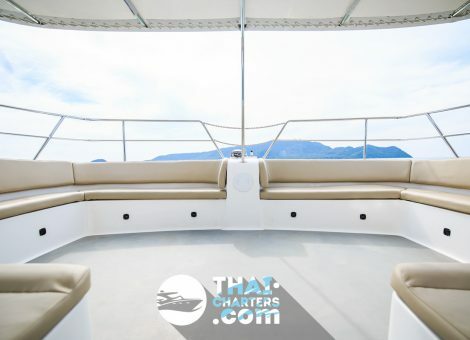 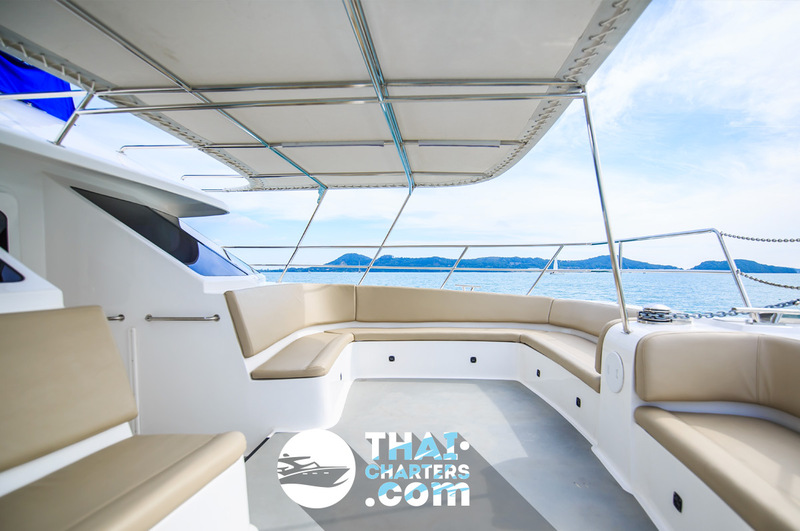 Indoor flybridge allows you to enjoy sea views at 360 degrees.